The Omni LED is a high-performance light bulb ideal for everyday use. 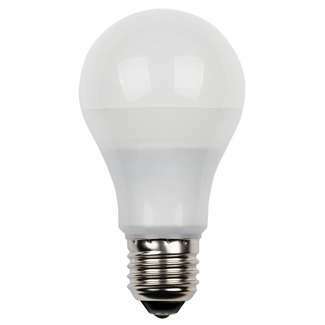 This bulb combines the ever-popular A-Shape light bulb with the LED technology. 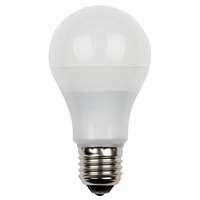 This 9-watt bulb can reduce energy and operating costs up to 90 percent compared to a standard incandescent bulb with the same brightness. With 40,000 average rated hours, this Omni LED features extended life compared to similar LED bulbs. 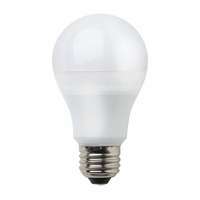 The LED light bulb offers long-term use and dependability. LED technology provides improved performance over popular energy-saving compact fluorescent technology. Substantially bright for everyday tasks, this instant-on bulb can illuminate residential or commercial applications. The Omni LED provides general illumination and can be used in ceiling fixtures, pendant light fixtures and table lamps.